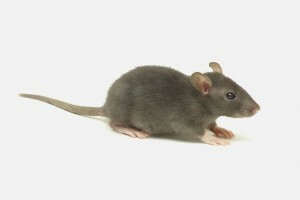 Rats and mice are common pests and are well known to be associated with the spreading of food poisoning, bacteria and diseases such as Weil’s disease, Trichinosis and Hantavrius. Europest can offer professional advice, support and solutions for all types of domestic and commercial pest control issues. Our aim is to provide a sympathetic, cost-effective and reliable service to rid your property of unwanted pests. We offer all types of pest control services for all commercial businesses from large residential apartment blocks, industrial units, nursing homes, hotels, restaurants, public houses, local authorities, facility management companies to local shops. Rodents continuously gnaw on hard materials damaging building fabric, electrics, cables and essential operating equipment, this is one reason why a preventative pest control programme will reduce the risk of the time-consuming inconvenience of cleaning and addressing but more importantly, saving on costly repairs. The Europest pest prevention programme is designed to provide peace of mind with continuous cover, individually tailored to the sites specific requirements. Our fully trained service technicians offer professional advice to allow the right decision to be made in order to reduce the risk of contamination, stock damage and protection from prosecution. All visits are documented in your onsite report folder, which demonstrates to your client’s, customers and staff that pest control awareness in your premises is a serious matter and the importance of managing pest control. Rats and mice will infest buildings which can lead to economic loss and nuisance as rodents urinate and produce droppings which contaminate places of work which cause a risk to health and safety, disruption to your business and unnecessary cleaning work and bills. Once established rats and mice readily breed which can lead to a significant infestation in a short period of time. The main reasons for control are to reduce the risk to public health and prevent substantial economic loss. Risks to individual businesses differ which is why at Europest we offer a FREE SURVEY AND CONSULTATION to ascertain the needs of your business. Europest’s fully qualified field biologist carries out a full audit of your premises and provides a detailed report satisfying the most stringent of audits. Due to the small size, agility and sheer determination of rats and mice, making a building rodent proof is extremely difficult. The fitting of brush strip to gaps at the bases of doors and roller shutters, to the sealing of holes around waste pipes, and open doors which may allow rodents to ingress into your building. Europest provide regular surveys and advice to reduce the risk of pest entry. We are able to help and advice with any proofing requirement. 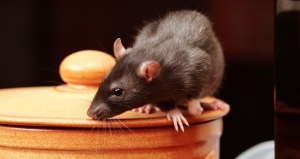 Providing the right advice with regards to the causes of rodent activity. Overflowing refuse containers, exposed food sources, overgrown shrubbery, broken drain covers are a few of the many contributing factors which may encourage rodent activity and possible ingress into your premises. If internal pest control is required we utilise the most efficient up to date methods in control. We endeavor to do this discreetly and professionally with the least disruption to your business. The brown rat explores locations quite freely, it possesses climbing and swimming skills although it does however have a fear of new objects known as neophobia. They can be found Living indoors, outdoors and in sewers – enjoying both rural and urban environments. It rarely ventures far from the nest site in search of food (up to 600 meters in the case of adult males). The gnawing habit of rodents is to wear the teeth to a chisel shaped cutting edge where they continue to grow from open roots throughout the life of the animal. It is an omnivore and with a preference for cereals and has a need for water unless the food source is extremely moist. They on average eat one tenth of their own body weight each day. Surplus animal feed such as bird feeders often attracts them. The brown rat can produce up to 3 – 6 litters each year, with an average litter size of 8 – 10. Maturity occurs between 2 -3 months and the average lifespan is twelve months. The house mouse rarely burrows, it has good climbing skills and may be found both in and out doors. It is small, agile and determined, and will often find small holes in buildings to crawl through. Omnivorous, the house mouse will drink water if available but can survive on food with a moisture content of just 15%. The house mouse can produce between 5 – 8 litters each year, with an average litter size of 4 – 8. Maturity occurs between 6 – 8 weeks and the average life span is 3 – 4 years. We offer bespoke pest management solutions fully compliant with the current BRC standard to the food manufacture and packaging industry. An individual service specification designed to meet the needs of your business whilst fulfilling the demands of your customers, all of which are accredited to the ISO 9001:2008 quality and green dragon environmental standard part 2, all of which we trust will provide peace of mind when dealing with an environmentally conscious, customer focused and professional company. We currently provide pest management services to a number of Tesco, Marks and Spencer and Asda suppliers. Europest offer discreet and effective trapping solutions to deal with all squirrel and mole infestations. How To Deal With A Rat or Mice Infestation? 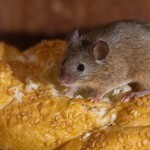 Click & Read More -> How to deal with a rat or mice infestation?